Visual Processing disorder is broad term used to describe children that have difficulty with visual tasks. They may have problems with puzzles, mazes, handwriting or reading. The child may be clumsy and have difficulty remembering things like where toys are located. Visual processing problems can be different in each child. Here is a symptom checklist that might help. Visual processing disorders are part of a larger group of disorders called “sensory processing disorders“. Sensory processing disorders can be linked to any sense (touch or hearing, vision, taste or smell) and are characterized by the brain magnifying or muting sensory information. This magnification or muting of the sensation can appear a child that does not like loud noises, or constantly likes to touch rough surfaces. They may be picky eaters because some foods “feel funny” in their mouths or they only wear their favorite super soft shirt. 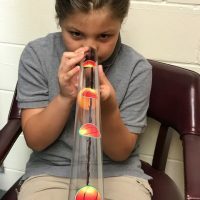 These sensory difficulties can cause problems with fine and gross motor development as well as academic performance and cause behavioral issues as well. Research continues to identify causes of these disorders but no real conclusions have been found. There are differences in brain structure noted in these children and environmental toxins have been linked to these disorders. Children diagnosed with visual processing disorder should first have complete eye exam including a binocular vision exam. Children with visual processing disorders and other sensory disorders are frequently found to have eye movement and near vision focusing problems that only a binocular vision assessment can uncover. Treatment for the eye movement and near vision focusing problems can frequently reduce the symptoms associated with visual processing disorders. Following resolution of the eye movement problems, we can ONLY THEN begin successful treatment of visual motor integration and visual perception problems. Recently, I have had several children referred to me recently with “visual processing problems” that also have histories of seizure disorder and concussion. These children also had significant binocular vision problems. Once their binocular vision disorder was correctly diagnosed (both had CI, accommodative dysfunction and saccade dysfunction) and treated, we then able improve visual processing for both of these children. 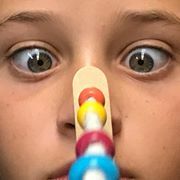 This entry was posted in vision rehabilitation and tagged accommodation, cardinal gaze, convergence, convergence insufficiency, occupational therapy, pediatric OT, saccades, sensory processing, visual processing. Bookmark the permalink.